When it comes to the layout and design of a business or branded Facebook page, there isn't much room for imagination. Aside from a customizable profile image, everything on screen carries a standardized look and feel. Heck, even the profile image appears in the same spot for all pages. That's why it's so important to post images and content that gets you noticed right away. 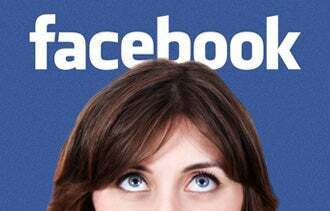 EyeTrackShop, a New York-based startup that measures the effectiveness of print and online ad campaigns by charting eye movement, recently conducted a study that sought answers to what people specifically look at on Facebook-brand pages. The wall on all brand pages attracts almost all respondents' gazes. What you post matters. If you consistently create and publish great content -- items that really matter to your fans and add value to their day or contain an appropriate call-to-action -- you're more likely to attract and retain those readers. Walls also attract the viewer's attention for the longest amount of time. Again, this reinforces the need for compelling content that builds on itself. Working in reverse chronological order (because that's how posts appear), Wall posts should compel the user to scroll down the page, keeping their focus and attention on your Wall. You should cross-reference previous status updates as a way to get visitors to scroll down the page and consume more of your content. Small pictures get attention, as 85 percent of those surveyed look at the smaller pictures just above the wall. As with all content on a branded page, pictures should be relatable to your audience and speak to a need or curiosity your visitors have. Three quarters of viewers look at the larger picture of the brand's product. Regardless of how long the user gazes at your profile image, having a great image makes a lot of sense. Look at EyeTrackShop's own profile image and you'll see how it isolates multiple images within the same profile picture. Now that's smart. Follow their lead with your own profile image -- include a photo and messaging or a call-to-action. If you're a merchant who doesn't even bother with a Facebook page, you may be interested in a study EyeTrackShop recently completed on the layout and content of storefront window displays for brick-and-mortar retail shops. That study suggests that time spent by shoppers looking at a window display has a direct correlation to sales. The most successful window displays, according to EyeTrackShop, are those that hold the viewer's eye the longest. Lots of intricate detail is good -- and if it has motion, all the better. The longer a passerby is looking, the more likely that shopper will make a purchase. How have you boosted the stickiness of your business's Facebook page? Leave a comment and let us know.